INDIANAPOLIS – Gov. Eric Holcomb signed all remaining bills into law Tuesday – including ones affecting solar energy, alcohol law and newborns. He did not issue any new vetoes, ending the session with just one. Perhaps the most anticipated was Senate Bill 309, sponsored by Rep. Dave Ober, R-Albion. It gradually lowers the reimbursement for Hoosiers who install devices to use solar or wind power. In the past, Hoosiers' expense of installing such technology was offset by producing their own energy and being able to sell any excess back to the power grid – at a premium rate. But Senate Bill 309 reduces the payback through net metering over time. Under the final version, anyone who installs solar panels or wind turbines by the end of this year will get the higher retail rate for their excess energy for 30 years. This grandfathering is meant to allow people to recoup the investment cost of the equipment. Those who install solar or wind devices in the next five years will get the full retail rate for up to 15 years, but the longer people wait, the fewer number of years they will have at that rate. After 2022, anyone who installs the technology will receive a lower wholesale rate plus a premium of 25 percent. Utility companies pushed for the bill, saying right now other customers are subsidizing solar users to be on the grid. But opponents packed hearings to oppose the bill, saying it puts residential and business solar at a severe disadvantage and effectively kills the market. A group even delivered 350 petition signatures to Holcomb's office earlier this week – on a solar panel. 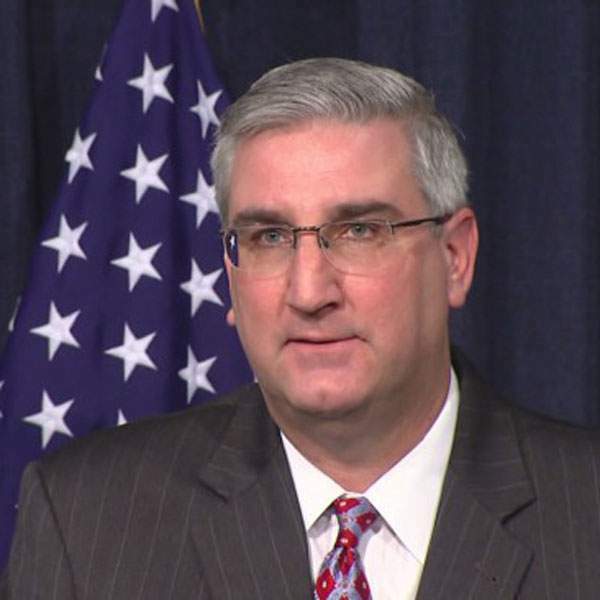 Holcomb also signed House Bill 1496, a last-minute effort by lawmakers to plug a loophole that allowed two convenience stores to sell cold beer and liquor for carryout. “I sign this bill with the understanding we need to review and make common-sense changes to Indiana's alcohol laws,” the governor said. Anderson-based Ricker's obtained two restaurant permits from the state Alcohol and Tobacco Commission late last year that also allow the sale of carryout cold beer and liquor. The stores added tables, chairs and Mexican food such as burritos to gain the permit. Otherwise, the right to sell cold beer belongs to package liquor stores, which pay a lot more for permits than restaurants. The final version will grandfather in restaurant permits that were issued before November 2016, before Ricker's received its two permits for stores in Sheridan and Columbus. The measure requires entities seeking new restaurant permits to have 60 percent of their alcohol sales in on-premises consumption to be able to sell carryout cold beer and liquor. A special provision for Ricker's allows it to keep its permits through renewal, which is at the end of the year. At that point, the commission can give Ricker's an extension, but it's not guaranteed, and would end April 1, 2018. In the meantime, lawmakers are looking at a comprehensive review of Indiana's sometimes arcane alcohol laws. One of the final bills he signed was Senate Bill 246 to legalize newborn safety incubators in hospitals that are staffed 24 hours a day. It also grandfathers in two existing devices at fire stations in Woodburn and Michigan City. It is an expansion of the state's existing Safe Haven Law, which currently requires that to avoid prosecution, a person who gives up a child must do so to another person. For a full listing of all actions on all bills, go to www.in.gov/gov/2923.htm.